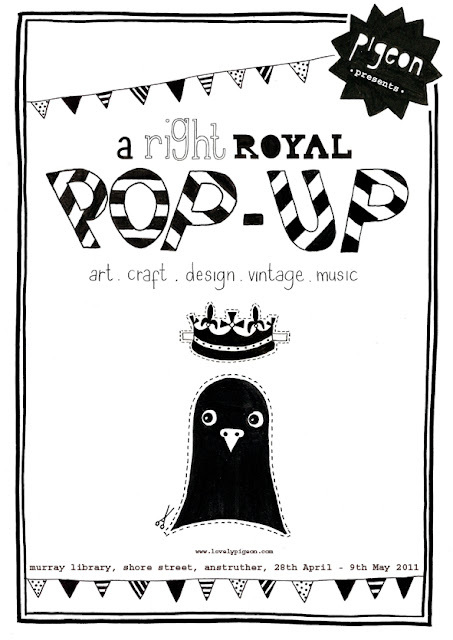 Just a wee reminder that Pigeon's Pop Up shop is back at The Murray Library, Shore Street, Anstruther until 9th May. Our start to crochet kits, bangle bag kit and felt flower kits are available as well as lots of other handmade goodness from other crafter sellers. It is also the destination for Fence Collective merchandise. Given the beards and tiaras theme we've written a beardy knitting pattern which is free if you pop along!